Books. Books. Books. What immediately comes to mind when you hear that word? Unless you stumbled upon this blog by mistake, you are probably a book lover. Did you read about Ramona's adventures with a flashlight under the covers when you were supposed to be asleep? Did you pray to get through puberty quickly after reading Are You There God, It’s Me Margaret? Did you ever think about what you would do if you could become immortal like in Tuck Everlasting? This blog is for all those whose love of books has started in childhood and continues now into adulthood. So how did this all come about? I am a history teacher from Philly (hence the name, 1776 books….get it?). What do I know about blogging? I am about to let you in on a little secret…..absolutely nothing. In fact, if my students knew that I was writing one they would laugh their heads off. I am, as my brother-in law loves to say, “technologically inept”. But I do love books, and I also found that I love reviewing them. I love to let everyone know when I come across something worth reading. I have had a few jobs over the years, but at one time, I just needed a break from teaching for awhile. So I decided to try something new. After wracking my brain trying to come up with something to pay the bills, I decided to try to go into public relations. I had worked for many years on the side at a local bookstore as a cashier. I decided to give them a call, and lo and behold, they needed someone to work PR. It was a stressful, but exciting job, as I was the point person for all the famous authors who came to the store (Fun fact….Stephenie Meyer was the nicest person and deserves all her success). Every now and then (Christmas), they needed me to step down from my management position for a few days and help customers. 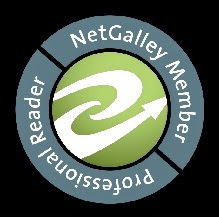 That was where I felt my niche was…..suggesting books to them, writing “Staff Recommendations”, leading book clubs. Now that I am teaching again, I still buy “gold seals” every year. Kids can write a review of books they particularly liked and stick them on a display. What do I do in my spare time? Read, read, and then read some more….usually 4 or 5 books at once in different genres. I practically live in my local library. I am not one of those who has to buy books, although I will on occasion. I take books everywhere….planes, trains, automobiles, the beach…you name it, I have a book. My spouse runs a blog of his own, so he suggested I think about starting one. After laughing so hard my sides hurt, I began to think. Why not use the fact that I know how to turn a computer on to my advantage? So what will this blog be about? There will be a little of everything. I read all types of things, so after I finish a book, I will give my opinion of it. No bells and whistles, just good, solid reading. I will rate each book from a 1-5. Why Harper? All readers know why. 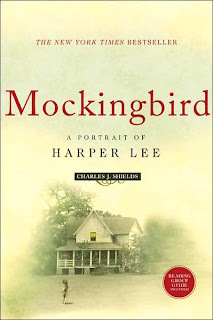 But let me end with my first shout out to a book….run, don’t walk, and pick up Mockingbird: A Portrait of Harper Lee. I’m not going to review this one because I read it so long ago, but what a complex relationship between Lee and Capote! A beautiful book!